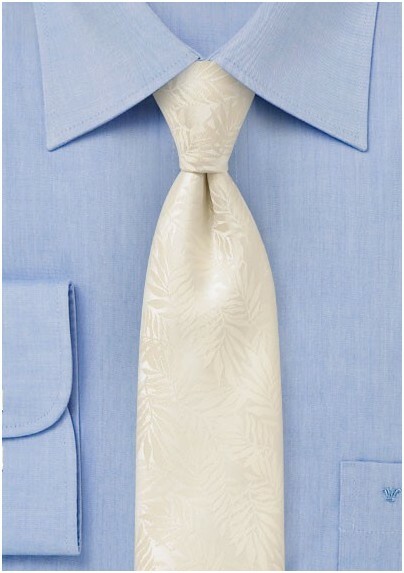 This formal cream colored tie is part of a new wedding collection by neckwear brand PUCCINI. 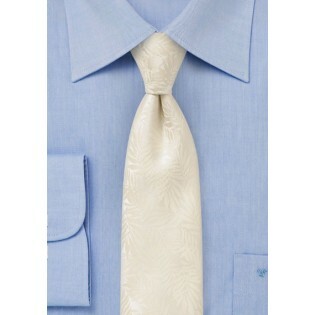 The slim cut and monochromatic design create a modern, yet easy to match accessory for today's man. This new tropical leaf design also comes in colors classic burgundy red, elegant dark navy blue, as well as beachy pool blue. Made by hand from woven microfiber.